Hi everyone! 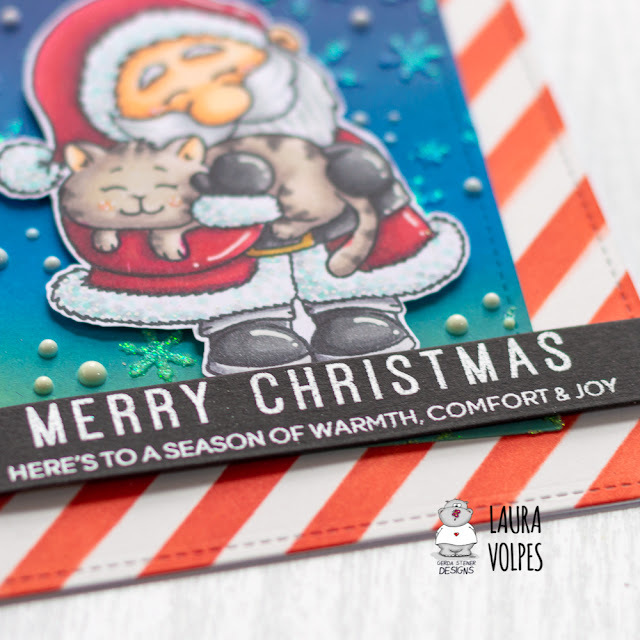 It's Laura here and today I am back with a cute Christmas card featuring the Gerda Steiner Designs Santa and a Kitten stamp and a process video showing how to create your own custom background. I started off by die cutting two panels out of some Bristol Smooth cardstock by Strathmore. 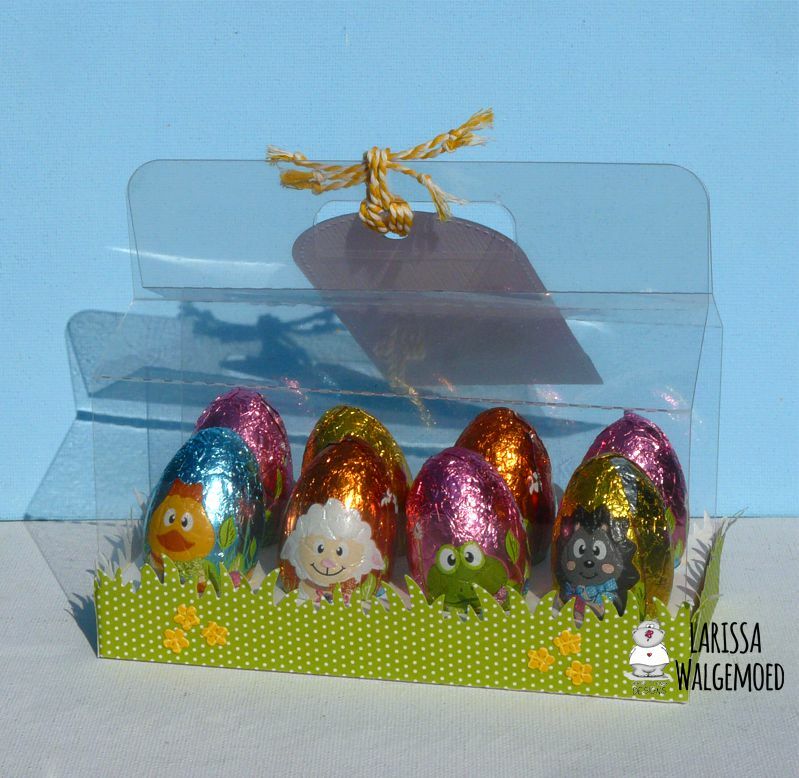 The larger one measures 4.25”by 5.5” and the smaller one measures 3.75” by 5”. On the larger panel I created a stripey pattern by blending Distress Oxide in Candied Apple over the a stencil. As a focal point I used the Santa and a Kitten Stamp by Gerda Steiner Designs, stamped it with Memento Tuxedo Black ink on Neenah Solar White 110lb cardstock and colored it with Spectrum Noir Markers. I then fussy cut the image with my EK Success Cutterbee Scissors. For the sentiment I did some embossing with white embossing powder over black cardstock and then die cut a strip around the sentiment. I glued the sky background on the striped paned with Nuvo Deluxe Adhesive and raised the image and the sentiment over some 3M foam tape. 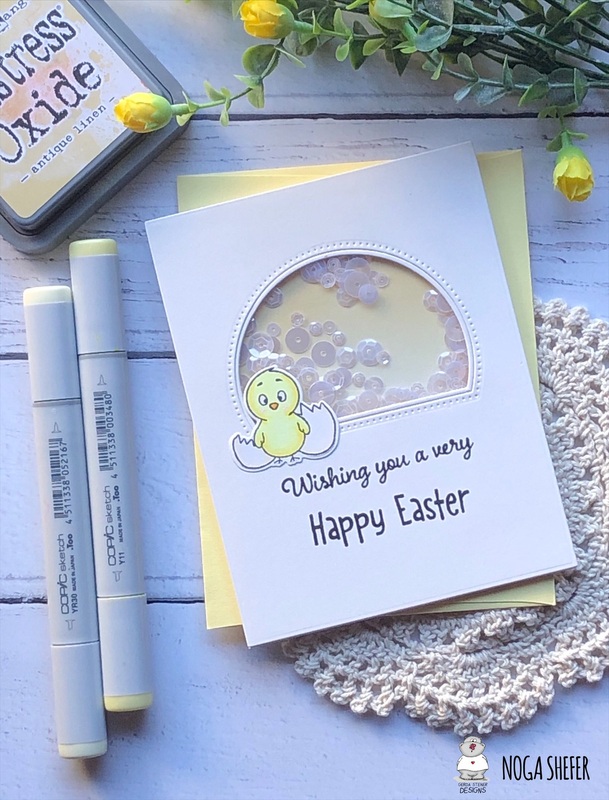 I added details to the images witb a white Gelly Roll Pen, and very generously filled the background with Nuvo Drops in Simply White. And I love the look of it! I created a video tutorial for you to watch, if you want to see the whole card making process. And don’t forget to let me know what you think about it! 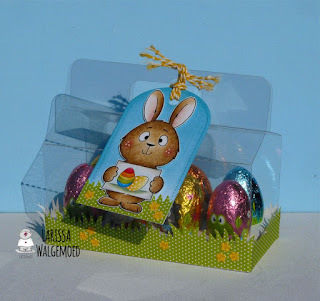 And that’s it for today! 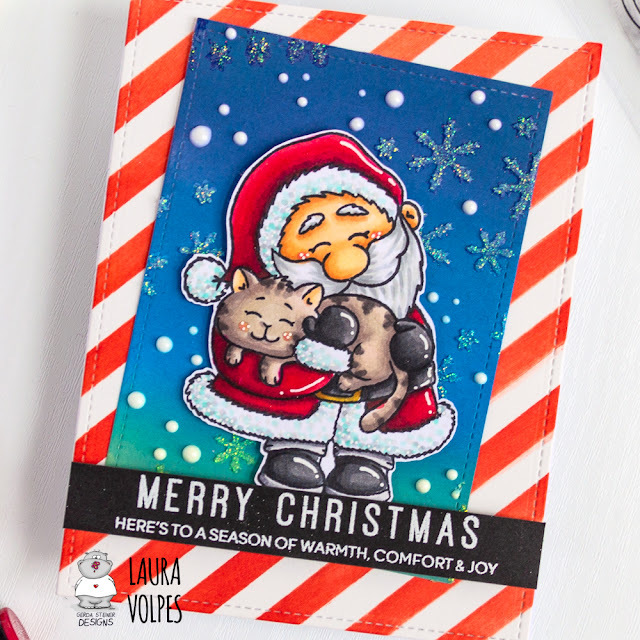 I hope you guys like the card and enjoyed the video, and I hope I inspired you to create with the Gerda Steiner Designs Santa and a Kitten Stamp set!